Thanksgiving may be only mere hours away, but there is still plenty of time to make a showstopping centerpiece for your table. 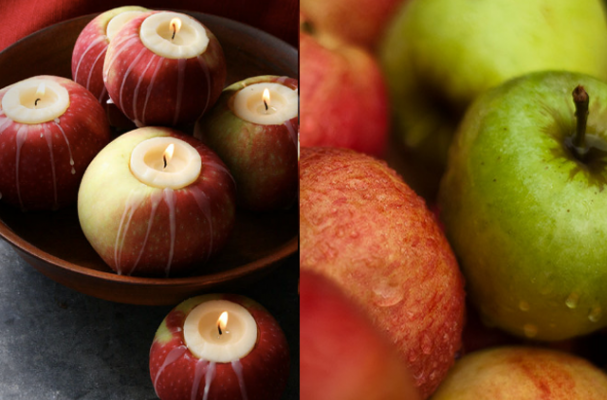 Grab a few apples, some tea lights and a paring knife - this quick and easy craft is so simple, you won't know why you didn't think of it before! A perfect between-dish task that maximizes baking, cooling and resting times -- or a super easy way to keep the kids (and husbands, boyfriends, uncles) occupied and out of the kitchen! Want to make things even easier? If this seems like the kind of project you want to recreate again and again (and it is, really), snag one of these beauties: a nifty tool that carves our your apples in just the perfect size and shape for tealights or votives. So what are you waiting for? Get carving! 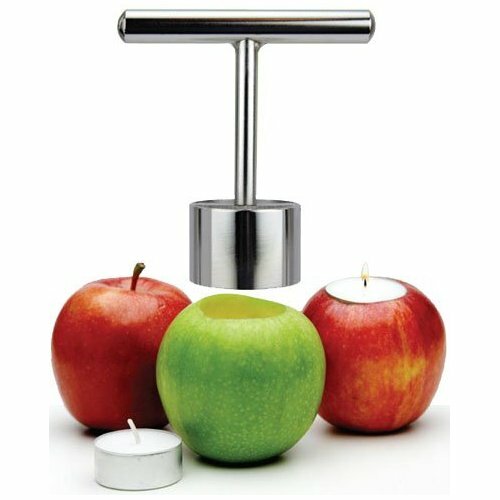 Make things even easier with this nifty apple carver - perfect for tea lights! Ohh very nice Candle Holder. Thank you very much for your great post.I'm so happy by visit this site that I’ve already bookmark this site and I will come back again .